Come celebrate the great outdoors! Screenings are all different from the December show and focus on high adrenaline action-packed films from some of the most spectacular locations worldwide. The Banff Centre Mountain Film and Book Festival is the largest, and one of the most prestigious, mountain festivals in the world. 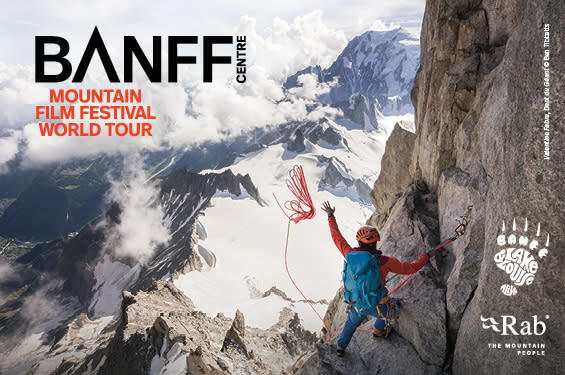 The 2018/2019 World Tour brings films from the 43rd annual Banff Centre Mountain Film and Book Festival to about 550 communities and more than 40 countries. At each screening around the globe, audiences see a selection of award-winning films and crowd favorites from approximately 400 films entered into the annual festival. UWEC Students: $4.75* Subsidized by Student Office of Sustainability, Supplies are limited.